Matt Dwyer, CEO of Global Consortium Inc. (OTC GCGX), is featured live on SmallCapVoice for the April 4th Investor Conference Call. In addition to answering shareholder questions, he provides updates on recent developments and discuss the goals for the Company in 2019. 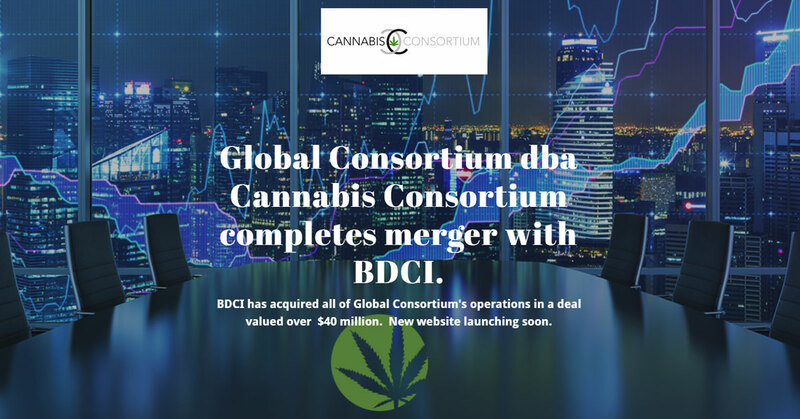 Global Consortium, Inc., is building America’s first Cannabis Mall, which when completed will house Manufacturing, Distribution, Delivery, Retail, Testing, and Cultivation all under one 64,000 square foot building. The Mall will house the largest Manufacturing facility of THC and CBD Distillate and Edibles believed to be operational in the United States. This interview may include forward looking statements. These forward-looking statements generally are identified by the words “believe,” “project,” “estimate,” “become,” “plan,” “will,” and similar expressions. These forward-looking statements involve known and unknown risks as well as uncertainties, including those discussed in the following cautionary statements and elsewhere in this release. Although the Company believes that its expectations are based on reasonable assumptions, the actual results that the Company may achieve may differ materially from any forward-looking statements, which reflect the opinions of the management of the Company only as of the date hereof. SmallCapVoice.com, Inc. received $3,000 from the company on 5-4-18 for 30 days of service. SmallCapVoice.com, Inc. received $3,000 from the company on 6-1-18 for 30 days of service. SmallCapVoice.com, Inc. received $3,000 from the company on 7-1-18 for 30 days of service.SmallCapVoice.com, Inc. received $3,000 from the company on 8-1-18 for 30 days of service. SmallCapVoice.com, Inc. received $3,000 from the company on 9-1-18 for 30 days of service. SmallCapVoice.com, Inc. received $3,000 from the company on 10-15-18 for 30 days of service. SmallCapVoice.com, Inc. received $1,750 from the company on 12-3-18 for 30 days of service. SmallCapVoice.com, Inc. received $3,000 from the company on 1-15-19 for 30 days of service. SmallCapVoice.com, Inc. received $3,000 from the company on 2-15-19 for 30 days of service. SmallCapVoice.com, Inc. received $3,500 from the company on 4-1-19 for 30 days of service.